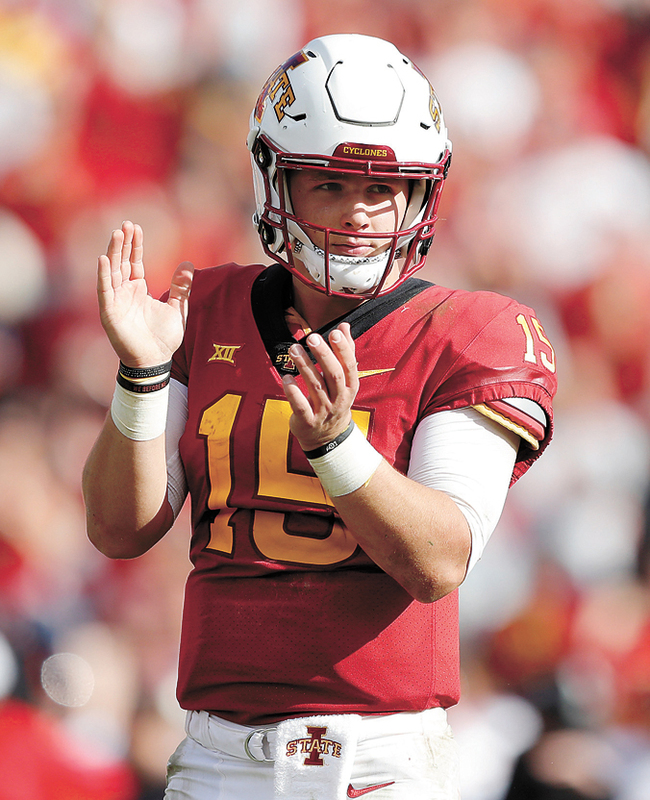 AP FILE PHOTO - Iowa State quarterback Brock Purdy celebrates at the end of a Big 12 Conference football game against Texas Tech, Oct. 27, 2018, at Jack Trice Stadium in Ames. Iowa State won 40-31. AMES — Iowa State quarterback Brock Purdy grew up idolizing Tim Tebow. 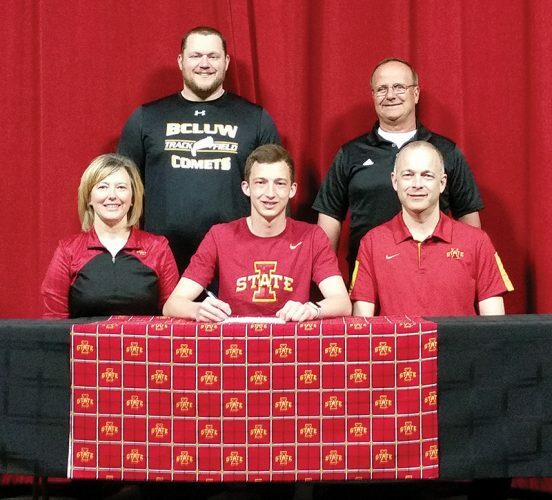 Purdy, who rose from the third string to lead Iowa State to seven wins in nine games in 2018, met with reporters for the first time on Friday. Iowa State doesn’t allow freshmen to speak with reporters. Striving to model one’s approach to both football and life after Tebow — one of the greatest college players of all time — might seem a bit audacious. But Purdy, who set the school record for both completion percentage and passing efficiency in 2018, might be one of the few guys who could actually pull it off. Senior starter Kyle Kempt sprained his knee in a 13-3 loss to Iowa in the opener. Noland put up decent stats as Kempt’s replacement, but the Cyclones were just 1-3 ahead of a trip to Oklahoma State. Campbell finally pulled Noland after one series against the Cowboys in favor of Purdy, who proved to be a revelation from the first snap he took. “When that second series came, it was go time from there,” Purdy said. Indeed it was, as Purdy threw for 318 yards, ran for 84 more and tallied five touchdowns — four through the air and one on the ground — in a 48-42 win that kick-started a renaissance for the Cyclones. 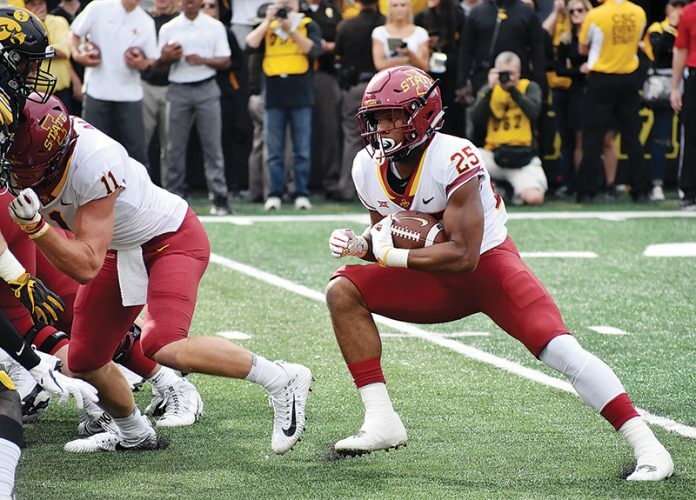 Purdy, who threw for 2,250 yards and 16 touchdowns in 2018, is now hoping to fill Iowa State’s leadership void with Kempt gone and running back David Montgomery and receiver Hakeem Butler off to the NFL.